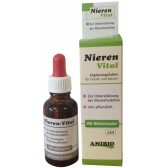 If you want more detailed information about this product, please search over the web for the manufacturers official page by inserting "Anibio (eu) Augen-pflege (eye Cleanser)" or contact our customer service. Anibio Augen-pflege - 20 ml eye drops for eye care - natural solution and very gentle to the eyes of cats and dogs. Since ancient times eyebright was used in a variety of natural techniques for irritations and infections in the eyes, such as conjunctivitis, a very serious problem for eyesight health. The extract from the branches, bark and leaves of the witch hazel is often used in skin ointments and is rich in tannins, volatile oils, gallic acid, resins, flavonoids (procyanidins), and other natural components. 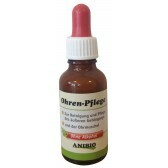 Anibio Augen-pflege is used for removing dirt and dust present in the eye. 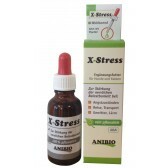 To remove foreign organisms (such as dust) apply 1-2 drops in the affected eye. To clean the area around the eye and its corners soak a wad of water with a drop of solution and proceed with the cleaning. The product should be stored in a safe place, away from cold and from heat sources and out of reach of children. 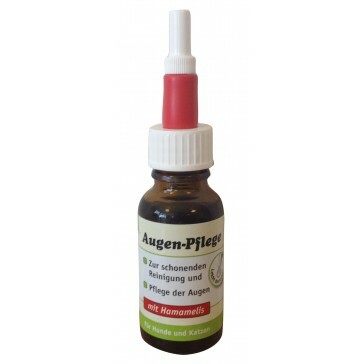 Isotonic saline, Eyebright (Euphrasia), witch hazel (Hamamelis), poplar (Populus). On cats it works very well . 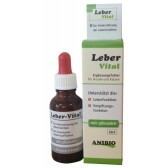 Its natural formula made of isotonic saline solution, Euphrasia, Hamamelis and Populus allows a prolongued use without contraindications. I give it regularly to my dog in times she has a bit of tearing. It is naturally manufactured without boric acid, so I'm not afraid give it to him for a few days.